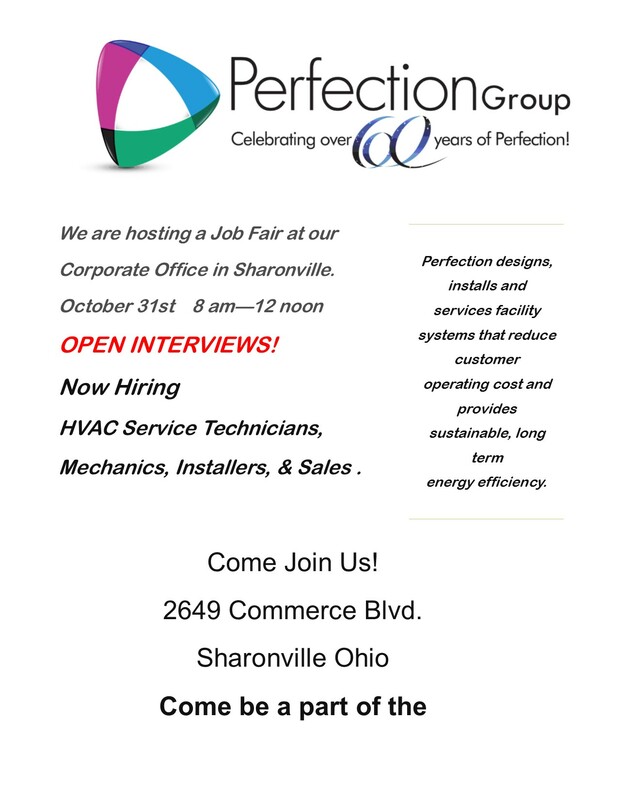 Perfection is hosting a Job Fair! Join us for a Job Fair on October 31st from 8am – Noon at our company headquarters (2649 Commerce Blvd, Sharonville, OH 4541). Open interviews will be conducted or just come and get some information.